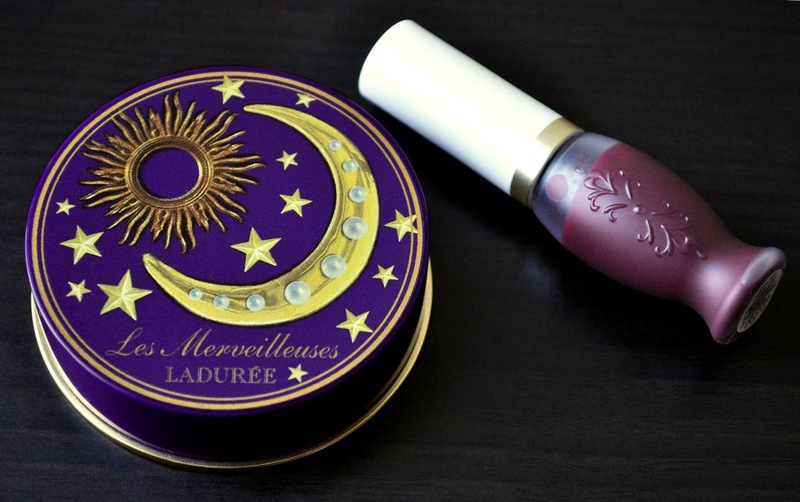 I am as happy as a lark over the Shimmering Pressed Powder, and the 01 Lip Stain, from Les Merveilleuses Laduree's 2015 Autumn Collection. Also included in the Autumn 2015 Collection were three limited edition Matte Rouge shades, three new Cream Cheek Base shades (permanent), and four other Lip Stain shades (a new and permanent addition to the brand's lip range). First, they're permanent. With all the awesome limited edition Fall/Holiday goodness going around, this girl needs to prioritize! 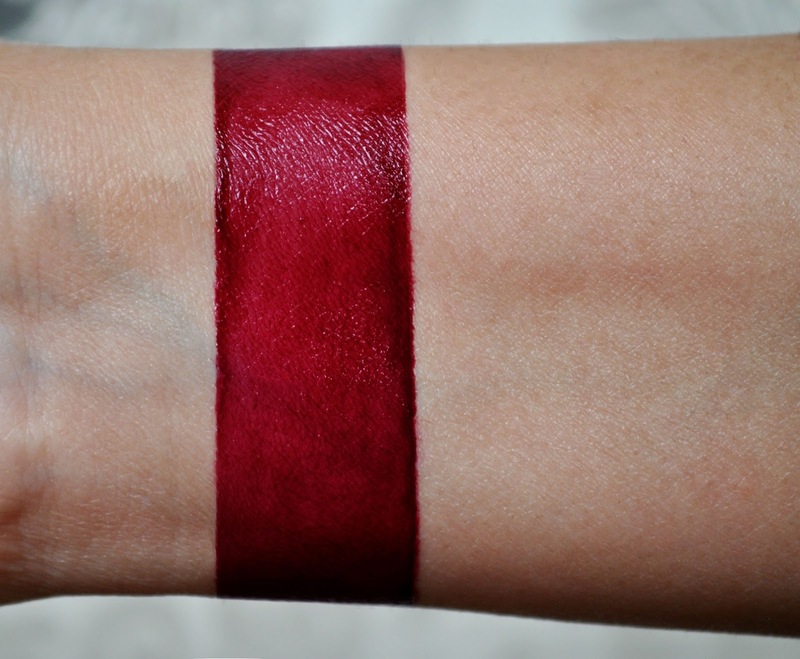 Secondly, all the colors are gorgeous; but, with the exception of the one (maybe two) Lip Stains, the other shades just don't evoke Autumn for me. 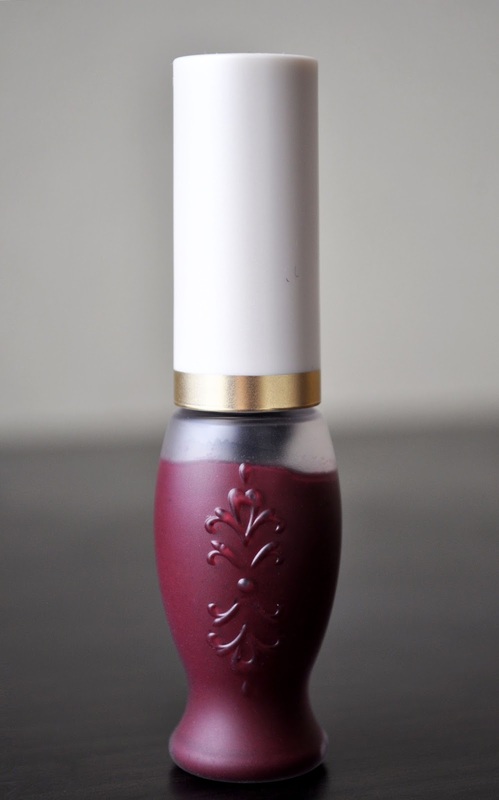 Hence, I purchased shade 01, (a deep Bordeaux that I know will get a lot of love). 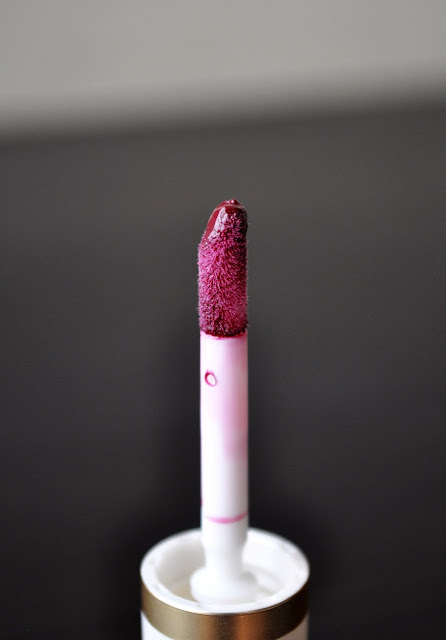 I was a little confused by the name of this product, and found myself checking the product's description as it doesn't "stain" the lips at all; it's more like a diluted, liquid lipstick. Shade 01's pigmentation can go from appearing as if you just finished eating a bowl of blackberries to a full-on, drunken, and soaked a bottle of your finest. At first, the formula is very slippery and then turns into a creamer consistency. Therefore, I recommend using a lip brush to outline your lips before going all crazy applying it directly from the applicator. The finish is semi-glossy, and never truly dries down. But, I found the lip stain extremely comfortable, hydrating and lasting for 5 to 6 hours, with minimal sips and nibbling. I saved my favorite piece in the collection for last, the Shimmering Pressed Powder in 103. 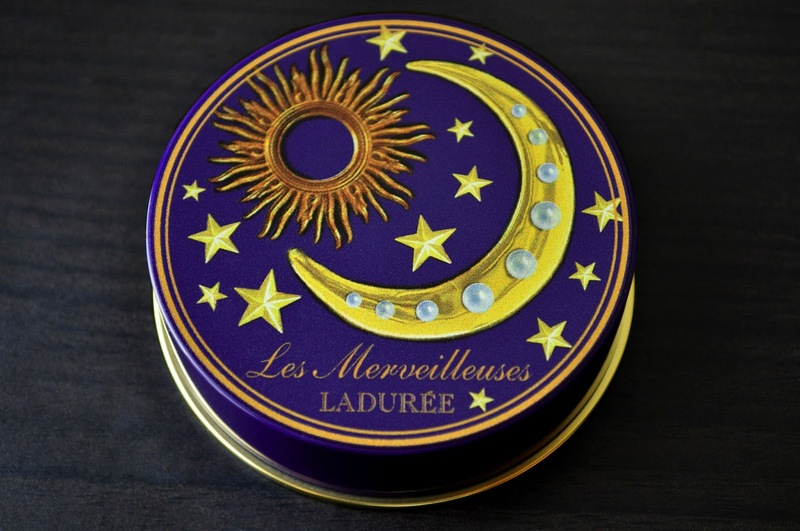 Laduree always does an exceptional job with the quality of their exterior packaging. The scorching sun, crescent moon, and stars hearkens back to the celestial motif during the 90's. I found that decor garish then, but in this small packaged dose, it's a tolerable charming. Even though the packaging is plastic, it has a little weight to it. The compact has a twist of lid, and an extended ledge at the base; this, making it more comfortable and secure for my monkey grip. 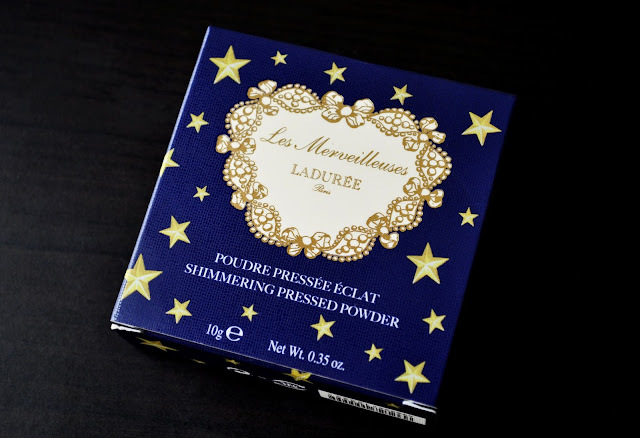 I wish Laduree would release more of these shimmering pressed powders and make them permanent. 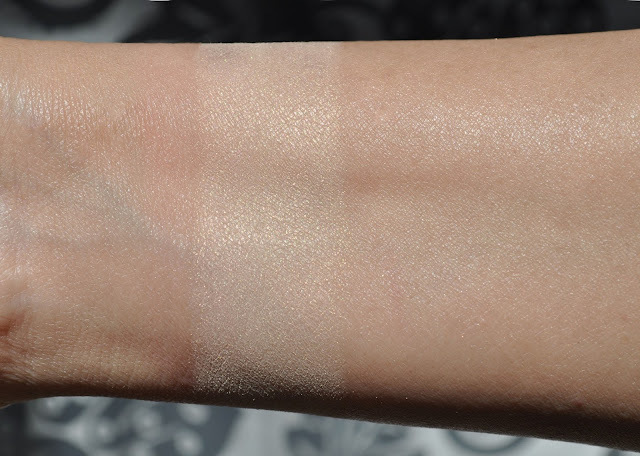 103 is a warm, pale, beige-ivory-yellow- gold with gold, silver, and champagne shimmers; an ultra-finely milled powder that feels like cashmere, and blends seamlessly onto the skin, while maintaining a luminous haloed glow. 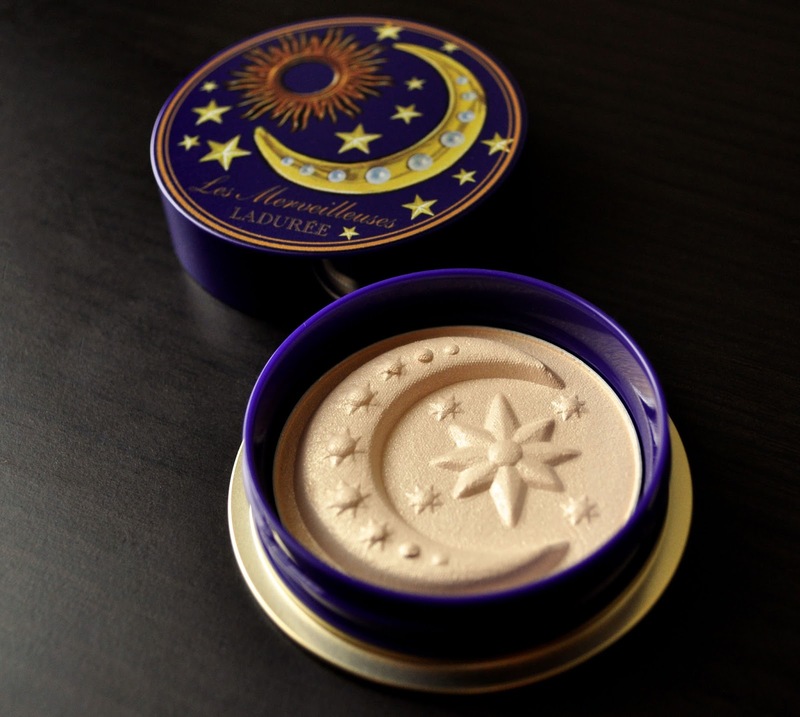 I love how the 103 powder brighten my complexion, and gives it an enhanced, ethereal, radiance. The micro-shimmer assists in illuminating and brightening, without looking as if you were rummaging though boxes of Christmas ornaments. I fancy using this powder as a highlighter on the high points of my face, dusted all over as a finishing powder, even under my eyes. I can't get enough of this powder! 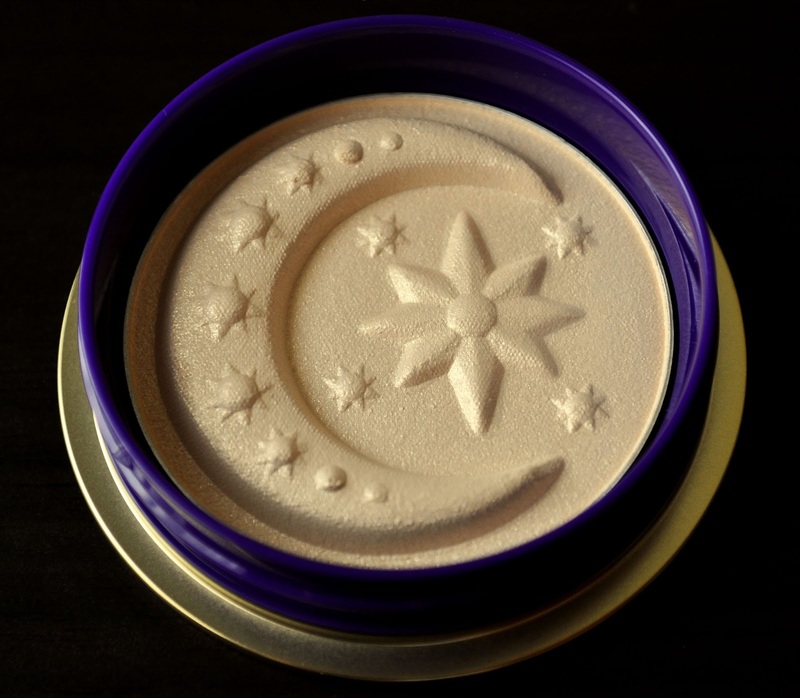 It's been the only face powder I've been using, and the results are dazzling! 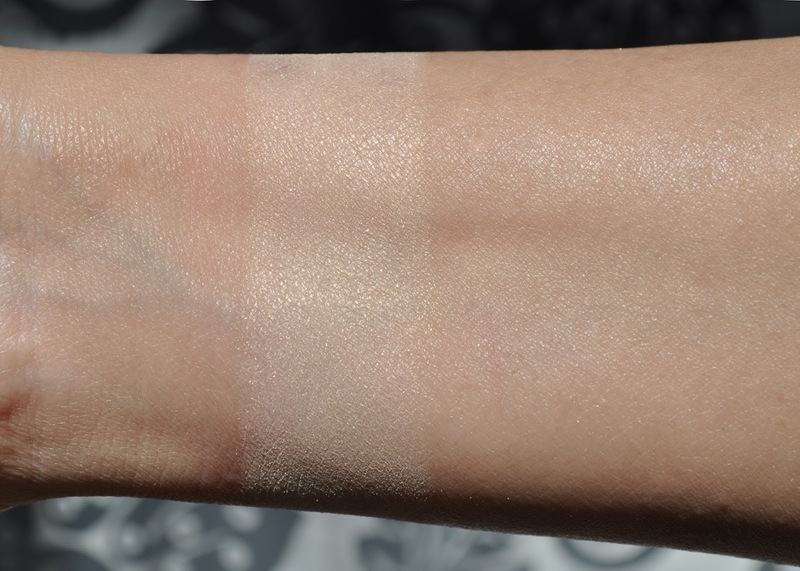 Les Merveilleuses Laduree Pressed Cheek Color in 12. Giorgio Armani Eyes & Brow Maestro in 04 Ambre (blended onto the lid, crease and below the lash line). Hakuhodo Eyebrow/Eyeshadow Palette (the golden Ochre shadow blended over 04 Ambre). Tom Ford Eye Defining Pencil in 03 Metallic Mink (used to tightline). Les Merveilleuses Laduree Lip Stain in 01. What radiant face powders are you loving at the moment? Wow, that shimmering pressed powder is beautiful! Having fair skin, it looks like it'd be a great way to enhance my look without being too overdone. Lovely! How in the heck did I miss these comments! Sorry Anonymous! for all of Fall and the beginnings of Winter, I've exclusively been using this shimmering powder. Absolute love. IT would look gorgeous on fair skin. My favorite shimmering pressed powder for Fall 2015. 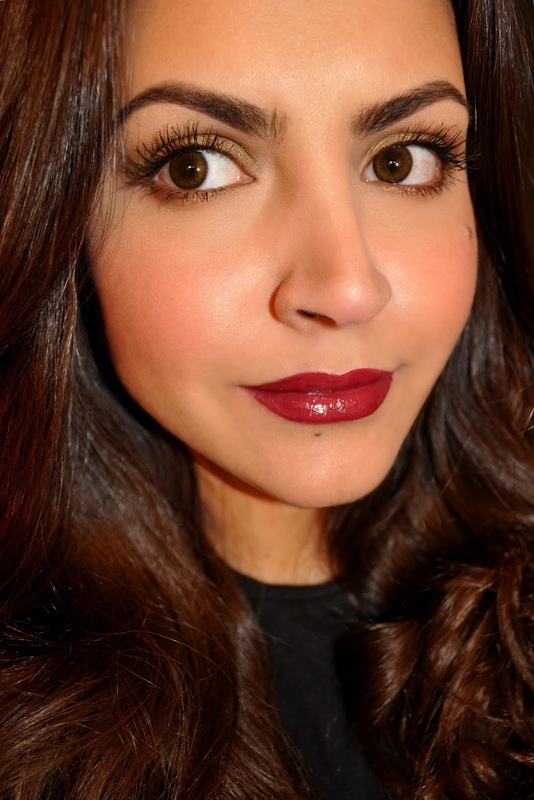 Oooo that lip stain looks sooo damn good and I love the tone of that glow powder! How beautiful! And I love the artsy packaging! Both products were (and still are) on heavy rotation last season. I've already made a substantially dent in the pattern on the pressed powder.